Times have well and truly moved on from the days when online punters needed to stay anchored to a desktop computer to place a bet with a bookmaker. Enter the best mobile betting apps. The advent of mobile smartphones has changed just about everything for the better, except maybe the fact that people are nearly always on them. Here’s our selection of the best apps for you to check out. We were really impressed with this professionally put together betting app. Hill is one of the biggest names around and we believe that the mobile site is one of the best betting apps you will find. They have over 100 in-play football markets and claim to have the best odds for horse racing guaranteed. Available for Android and iPhone, it has an array of casino, poker and games options available as well as bingo. With more and more mobile betting apps becoming available, Titanbet Sports really have come up with a slick experience for betting on the move. It’s not just the clean look and feel that appeal, though. This has to be one of the best mobile apps in terms of responsiveness (i.e. speed), markets available and simplicity. In addition to these features, their introductory offers are generally very good, too. To claim the latest offer you need to sign up as a new customer. After that, Titanbet keeps you interested with further incentives, including accumulator insurance. 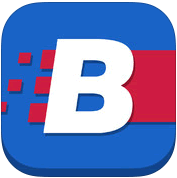 Betfred is one of the better mobile betting apps focused around UK and Irish sports betting, particularly strong on horse racing and football. We like that the mobile betting app site provides live commentary on UK football matches, horse racing, greyhound racing and plenty of statistics on many sports including cricket, golf and football. Read our full in-depth review here. It was difficult to separate many of these offerings in deciding which of these are classed as the best mobile betting apps – and Paddy Power has earned it’s place. Their mobile web app is a really good slimmed-down version of the standard web browser betting site, and as you would expect it fits into the compact screen for a good mobile user experience. Paddy Power gives you lots of choice and what also helps is their new customer offer which is simple to claim. Rendering very clearly on all of our tests using Android (inc Samsung Galaxy and HTC mobiles) and Apple iPhone and iPads, it is easy to see why the big Irish bookie had to make the shortlist in this review of the best mobile betting sites. For more detail, take a look at our in-depth review. Plus points that we like about of the Ladbrokes app include quick links to help navigate you to the most frequently used areas, Cash Out availability and loads of In-Play betting markets. Good use of expandable boxes makes sure that you can control what you see, as there can be a lot of information to deal with at one time. Ladbrokes also, in our experience, have solid customer support and do accept an array of payment methods. As mobile betting apps get more advanced, Ladbrokes are proving that they are certainly keeping, and in some areas, setting the pace. Recommended. bookies. It also comes with daily accumulator tips and useful betting tools such as live scores for instant access. 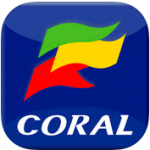 Or you could even simply use the app as a way to access hundreds of pounds worth of free bets & bonuses. This free app also keeps you informed of enhanced odds for specific events on a regular basis. It doesn’t have adverts or in-app purchases to worry about, either. It’s only available for Android and iPhone. Learn more here from the BookieBoost official site or download it here on Betting App Store. If you want to see more like these apps, take a look at the full list of betting apps for Android and iPhone.